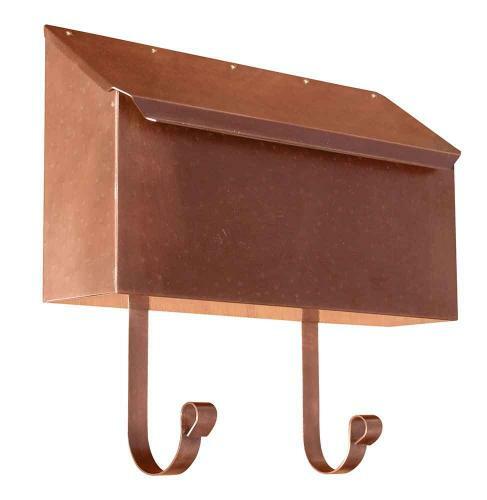 Hammered Copper Horizontal Wall Mount Mailbox. A Rustic handcrafted old world charm comes to life in this stunning mailbox. These classic hammered copper finish horizontal wall mount mailboxes are handcrafted one at a time from heavy gauge copper. Our Horizontal Hammered Copper Wall Mount Mailbox includes the magazine rack. Please allow 3 weeks for delivery.